Nightmare warriors are toys that I remember but was slightly too old to buy at the time. 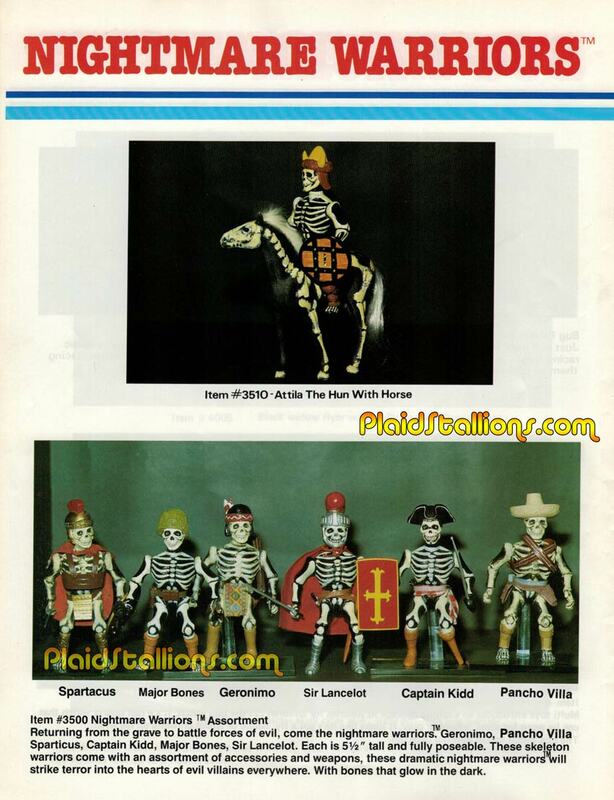 The idea of Skeleton action figures was done in the 1970s and for some unknown reason the dollar stores aren't full of these guys now. That's a crying shame, Skeleton action figures are an ever green. Oh and they glow in the dark! Come on, this is a no brainer. 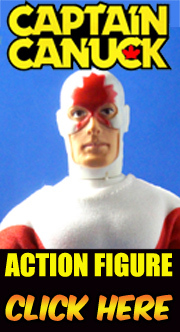 Gary Goddard, director of Masters of the Universe and creator of Captain Power (1987 Mattel was in the Goddard biz! 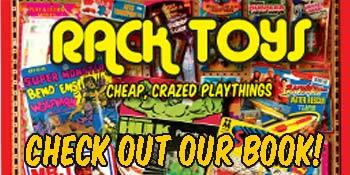 ), created a toyline/cartoon called Skeleton Warriors for Playmates in 1993. I think they tried this again in the 80s or 90s with Skeleton Warriors.